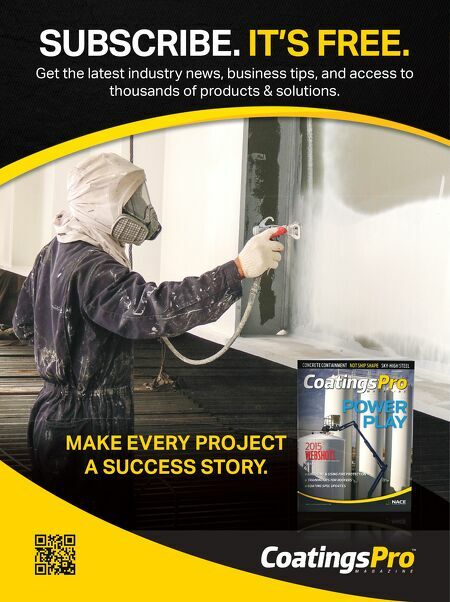 COATINGSPRO ROOF COATINGS 2018 35 SPONSORED CONTENT 3 Reasons to Try Garland's Newest Refl ective Coating T he latest innovation from the research labs at T he Garland Company is P y ramic Plus LO – a water-based ref lective coating. T his br ight white coating is desig ned to preser ve aspha ltic mod if ied bitumen roof systems and prov ide a l l-impor tant protection f rom U V rad ia- tion. A n add ition to Garland 's successf u l P y ramic fami ly of solutions, this introduction boasts severa l impres- sive character istics. Low Odor A ver y impor tant factor for bui ld ing occupants and ow ners, this product puts of f litt le to no smel l at a l l. Urethane Chemistry Formulated with a unique blend of urethane (as opposed to the pure acrylic of many coatings), this formula increases the strength and fl exibility of the coating system for longer-last- ing protection. 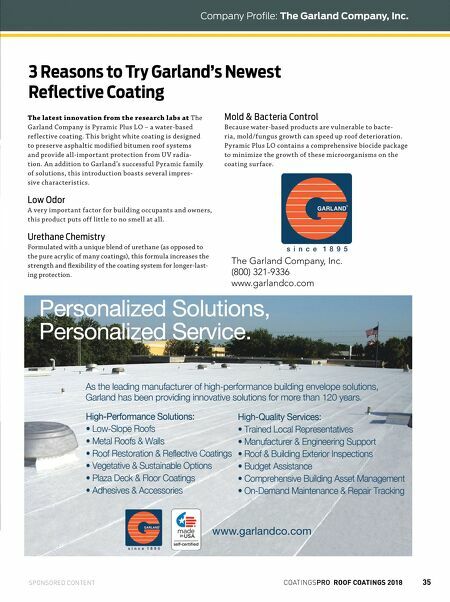 The Garland Company, Inc. (800) 321-9336 www.garlandco.com Mold & Bacteria Control Because water-based products are v u lnerable to bacte- r ia, mold /f ung us g row th can speed up roof deter ioration. P y ramic Plus LO contains a comprehensive biocide pack age to minimize the g row th of these microorganisms on the coating sur face. Company Profile: The Garland Company, Inc.